Time for another #teamwilliamandmary update…….things have been very busy in our Ashley Heath salon this month, we have a new member of the team and are very pleased to have Natalie on board as our new Art Director. 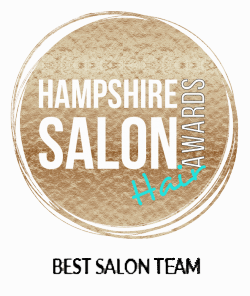 Natalie has come to us from a salon in Ringwood and she has been hairdressing for 15 years. She brings with her a wealth of experience and knowledge to add to the creative force behind William and Mary. She has been working with Wella for the last few years and therefore she knows how to get fantastic results with the exciting new colours and techniques released by Wella. Natalie is a fashion forward talented stylist and we are very privileged to have her working with us……Welcome Natalie!!!! “This week I had my first day of the Sebastian MOB Programme at the London Wella Studios which was very exciting. By the end of the day I left feeling so inspired with loads of ideas to take back to the salon and the team. There were 9 of us in the group and we all had to introduce ourselves in the morning. The Sebastian Educator, Rainy, was a familiar face to me after seeing her a few times in the salon over the last couple of months. Rainy talked us through the history of the brand and how Sebastian Professional was created by a stylist for stylists, and this passion is why Sebastian Professional use the most innovative technologies. Sebastian Professional started in the 1970’s and broke all the rules of hairdressing, creating the very first crimper amongst their inventions. In the afternoon we went through all of the products, learning the science and technology behind each and every one. It was pretty full on and crammed with information but I definitely felt excited about the tips I learnt for using the products in different ways and I could not wait to back to the salon to pass on my knowledge to both my clients and the other girls! We are so proud of Lacey, she is doing so well within the salon and she is constantly training and growing adding to the expertise we provide at William and Mary. In other news, Emma and Mary spent a weekend in London recently at the Creative Head Salon Smart conference where they spent time with other salon owners, learning about pushing our salon further and keeping our services fresh and current. They came away full of excitement and ideas.